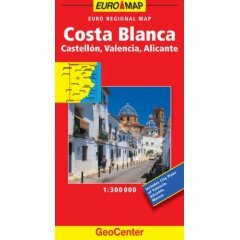 Where to find a good Alicante map! A tiny Alicante regional map just to give you an overview. You can get a free Alicante map at the tourist information in downtown Alicante or at Alicante Airport (located at the arrival hall). However especially during summer they sometimes run out of free alicante maps (happened to me twice). Perhaps you may think about “investing” a few pence in a decent Alicante map before you come. How far is Alicante from ? Looking for Distances from Alicante to neighboring cities ? or do you want to know how far away Alicante is from Benidorm, Valencia or other cities in Spain ? – Find our Distance from Alicante to … ? page here.